Here is the second in our series of interviews with very special Holiday Homeowners from around the world. 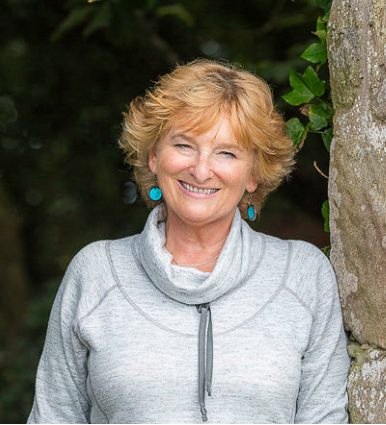 They share with you their reasons for loving where their holiday homes are situated, best-kept quirky travel secrets and top tips for making the most of your stay. 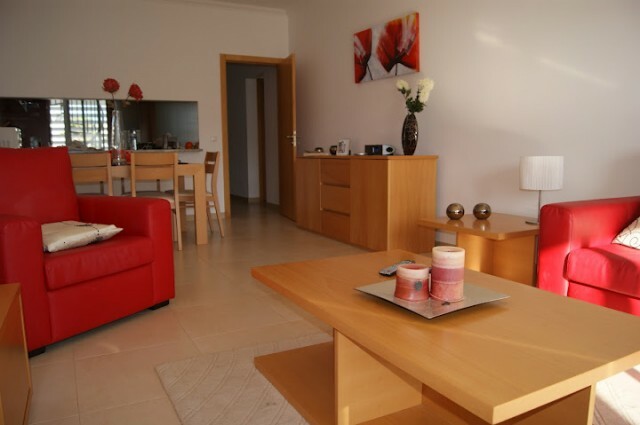 Helen and Andrew O’Donoghue, originally based in Dublin, had always dreamt of having a place by the sea; although they knew central Algarve well, they had never been further east than Faro. 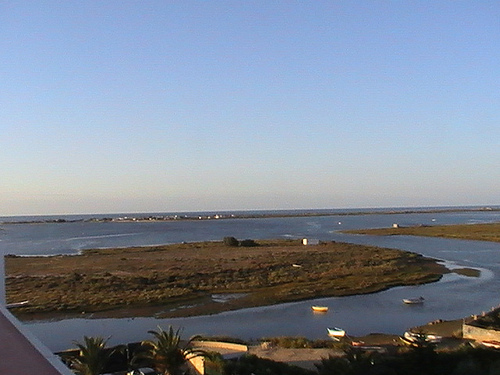 Neighbours told them about Fuseta, a Portuguese village on the eastern coast of the Algarve with spectacular views of the Ria Formosa lagoon. In 2009, after exploring the area, they bought a two-bedroom apartment in Fuseta, right by the sea, in the Formosa Village development. 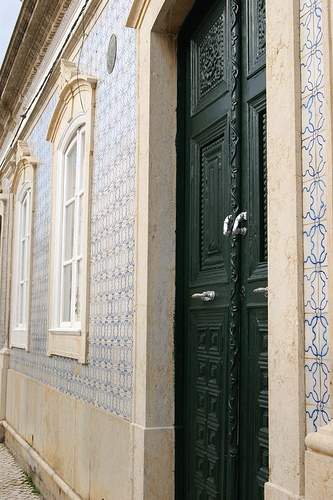 Last June, they sealed their love of the area by getting married in nearby Tavira. Now in their 40s, Andrew works in IT and Helen is a corporate fundraiser for a charity. Here, they talk about their love of Fuseta and offer some tips and advice for visitors. What first made you fall in love with Fuseta and why should people come here? When we first came to Fuseta it felt like stepping back in time. The area is very unspoilt and the village is an old fashioned, traditional fishing village where everyone knows everyone. The locals speak just enough English to get by, but they welcome tourists with open arms. They work mostly in restaurants or in the fishing trade and are very family oriented. The beaches are very beautiful and the restaurants serve delicious food at a fraction of what it costs anywhere else on the Algarve. And, of course, there's guaranteed sunshine from mid April through to mid October! What’s the ‘best kept secret’ you would tell any visitors not to miss? There are beautiful villages in the mountains surrounding the area. Our favourite one is Estoi, a colourful little town about 10km from Fuseta. 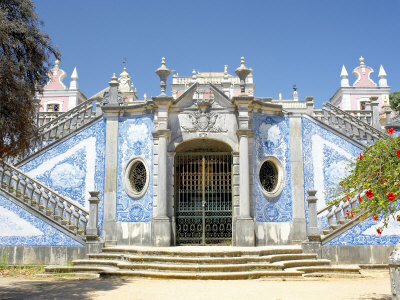 The place is home to the Palace of Estoi, which was originally built in the 19th Century as the ancestral home of the Viscount of Estoi, but has now been converted into a high-end pousada (hotel). Non-residents are welcome to wander around, have a coffee or lunch and admire the magnificent mountain views. Close by you can find the Milreu Ruins, one of the most important remains of the Roman presence in the Algarve and an imposing archaeological site, which has been classified as a national monument. What is to be found here today is the remains of a manor house, farm buildings, a wine press, baths and a temple, as well as an open courtyard and garden. Where’s the place to go to just hang out, people watch and generally soak up the atmosphere? The square in Fuseta is where the locals come together every morning after doing their shopping, going to the bank and buying their paper. It is a great place to feel part of the community; just grab a coffee and a Pasteis De Nata (custard tart) and watch the people go by. The houses around the square are typical of the area, Moorish cubic style, roof terraced buildings with high, ornate chimneys and decorative doors. What would you recommend visitors either treat themselves to while they’re there, or take home as a souvenir? 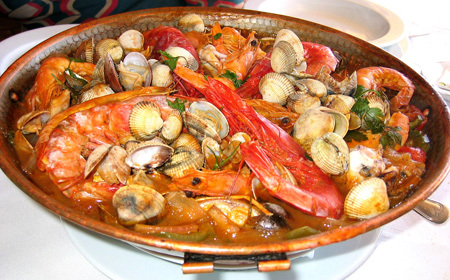 Cataplana is a traditional seafood dish, very popular in the area. It is also the name of the dish used to prepare it. Traditionally made of copper, it is shaped like two clamshells hinged at one end and is perfect for steaming. In restaurants, the food is always served in this beautiful cookware. You should be able to find one to buy in Fuseta. Finally, what are the most ‘quirky’ things to do, see, eat, visit or experience in this place? The amazing beaches are amongst the biggest attractions in the area. They have plenty of facilities like sun beds, restaurants and toilets, and are incredibly unspoilt, uncrowded and perfect for long walks and water sports. The area is characterised by ‘sandspit’ beaches, meaning they are separated from the mainland by a lagoon and have to be reached by a ferry boat or water taxi. A 10 minute drive from Fuseta is Barril Beach which is accessed by a little locomotive train. The area used to be a tuna village and the buildings are still standing but have now been converted into cafÃ©s, restaurants, shops and other facilities for tourists. The beach is strewn with anchors each one commemorating a fisherman who lost his life to the sea. A more romantic alternative is to get a watertaxi from Fuseta Harbour, bring a picnic and enjoy a deserted beach for the day! Holiday Homeowner Q&A is brought to you by Home Away, the UK's leading holiday rentals website with over 320,000 properties worldwide. From cute studios and city apartments to rural cottages and country homes, large luxury villas, quirky conversions and more, there are thousands of unique places to enjoy a more authentic and unusual holiday. Fuseta is a wonderful little town that reminds me of the way the Algarve used to be 25 years ago. Last year I had a couple of delightful experiences there. I found a man named Lionel grilling up huge mountains of pork and lamb for his buddies. My Portuguese isn’t good enough to discover if it was his relatives he was cooking for, his soccer team or a church group. Whatever, it was a total delight to watch a gang of 20 or so men gather for a group lunch. A bit further down the road I found a lovely tiny restaurant that didn’t have a menu. The guy who was serving asked if I wanted meat or fish. Meat, please. Pork or chicken? Chicken. Then I noticed him running across the street to a big grill where he started a charcoal fire. Soon he was heading over with a plate of chicken. Yes, my lunch was being prepared before my eyes on a public sidewalk! It started to rain and he simply put up a big golf umbrella to protect himself and my lunch. How fun is that? I ended up having couvert (bread, butter, olives, etc.) a huge plate of grilled chicken, rice, home made french fries, small salad, glass of red wine, small dessert and coffee for a whopping 6 Euros. Can’t wait to get back to enjoy more of Fuseta’s charms. Thanks for a great article. By the way: Nuno’s grill and Pizza offers excellent fish and meat dishes just opposite the soccer couft beneath the Camping. And don’t miss the music sessions every Wednesday night at Farrol, performed by Dominges and his marvelous musicians, starting at about 10.30 pm. Fuseta is just wonderful! In fact we love the quieter corners of Portugal althogether. We spent a week there late October – November. 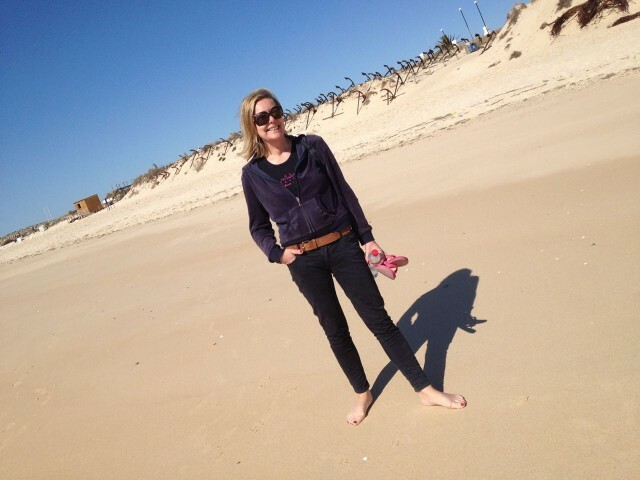 25°C – lovely beach. We even think about moving from Ostend(Belgium) to the Fuseta – Olaho – Tavira area. Sorry I don’t deal with sales Manuela! !